TWW brand tries to find foreign business opportunities. Brand has found business partner in far China recently. Increasing Chinese market provides good chance for luxury category of wood and wood-aluminium windows. The first brand shop was opened in Hangzhou. This is the city of Zhejiang province in the east part of China, the province has about 50 million inhabitants. Customers can inform about TWW products in modern 130 sq. metres brand shop. 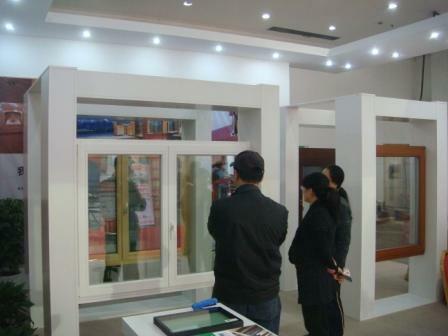 Our China partner has introduced windows and doors TWW in Building Material Fair in Hangzhou in October 2012. More than 300,000 people attended the fair within four exhibition days. Most visitors were professionals – architect and designers. 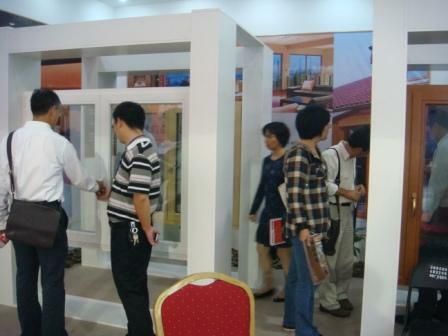 Window examples attracted a lot of visitors both professionals and private person. They were interested in origin, production and technical parameters of TWW windows. Interest in products exceeded partner’s expectations. Moreover local TV broadcasted information about TWW brand. More than hundred customers requested specific offer already during the exhibition. Due to the success of TWW brand in Hangzhou fair our partner is going to plan taking part in the following fairs in Beijing and Shanghai which are extraordinary business localities. We believe TWW brand will be successful in China market.